Looking for advice and information on tyres and wheels for your vehicle? View our range of articles on the do’s and don’ts regarding tyres and alloy wheels here. Minty’s showcases articles including tips, tricks and how to guides related to wheels and tyres, for your convenience. The New Year is filled with new dreams, ideas and plans. It’s always good to have a goal or a dream that allows you to improve your life. Everyone should have a dream and a way to reach that dream. Hopefully this year you will be able to reach your dreams or to achieve the goals you set for yourself. If you love cars and have a specific car in mind that you want to get this year, or maybe next year, then set your goal and work towards achieving it. Find an image of this dream car and place it in area where you can see it often. This will motivate you to work hard in order to achieve it. When you have a chance go to the dealer and get the information on the car you want. Perhaps take it for a test drive. This will increase your motivation and when you are motivated with the goal in mind, you can achieve it sooner. It’s all about keeping your eyes on the prize. Maybe this year you want to add a few enhancements on your car. Perhaps you want to get a new set of modern wheels fitted with the best tyres. A beautiful modern set of mag wheels will give your car an instant facelift that your friends will notice. 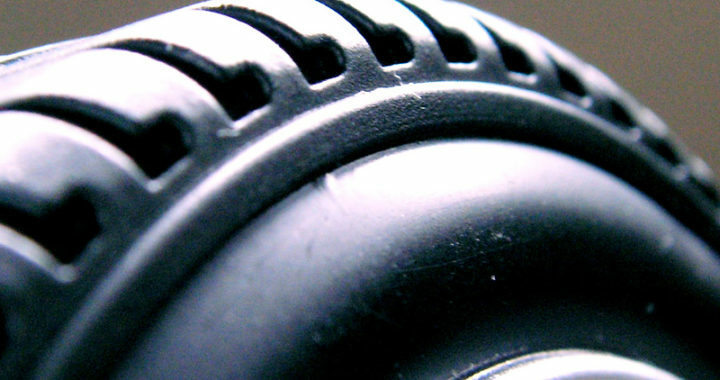 Browse through a wheel supplier’s website and decide what type of wheels you want. Find out what the costs will be and set your target then work towards it. You can also go back to the website often to check on wheels and tyres for sale. Hopefully you can get the set of wheels that you want at a discount. Stay focused on the end result. The New Year is a good time to set goals. Whatever your dreams and goals are this can be the year that you reach it. Make sure that you write it down and get pictures of what you want to keep you motivated and focused on the goal. When you persevere and stick to the plan you can achieve anything you set your mind to. During the holidays you would have driven to many places, doing many different activities and visiting friends and family while celebrating the festive season. The holiday season is over now so it’s back to normal. Back to work and school. While you’re very busy with getting back into the swing of things remember to check your car and wheels too. 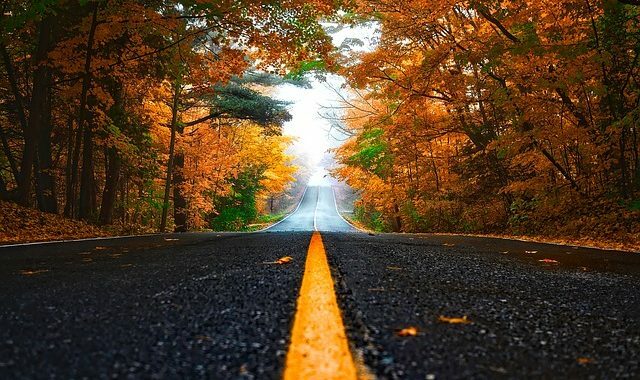 In addition to all the above mentioned destinations you may have also embarked on a road trip across the country. Many people drive from Johannesburg to Durban, Eastern Cape or the Western Cape, amongst others. These destinations are far apart and, hopefully, you did check that your car was in good condition before you departed. One of those checks being the tyres. If the tyre tread was still at a reasonable depth then you probably did not have to change the tyres. After driving thousands of kilometres within one month this will affect the status of the tyres. Walk over to your car and look at the tyres. Take the time to check it properly. If the tyres are smooth and the tread is very shallow then it is time to change them. Driving with smooth tyres can be very dangerous because there is no grip on the road. When you go around a corner you risk the car losing grip on the road and skidding out of control. Or if you want to stop suddenly, like at a robot or a car ahead of you just stopped quickly, the car could slide long after you apply the brakes. Another scenario where this could be dangerous is on wet roads. When it rains the roads become slippery so you need good grip on the road. Smooth tyres and wet slippery roads are a very bad combination. So if the tyres are smooth or even starting to fray along the edges then you need to get the tyres changed as soon as you can. 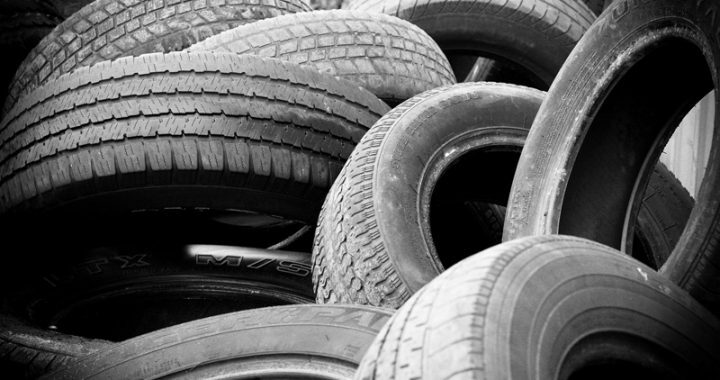 Find tyres that are the same size and specifications as the current set you have. For example, if your car requires Run-Flat tyres then it is best to fit the Run-Flats again. In general, it is always good practice to check the tread depth to make sure that you are driving safely all the time. As the year starts again, be safe and drive well. Why Is The Tyre Pressure So Important? Many people get in their cars and just drive wherever they need to go without thinking about how the car functions. There are many parts in a car that enables you to have the comfortable and safe driving experience you strive for. One of those car parts includes the tyres, especially tyre pressure. The wheels and tyres are certainly an important part because how else would you be able to drive from one place to the next? So the wheels and tyres are important; everyone understands that. But what is the big deal about the tyre pressure? If you have been driving for a few years then you’ve certainly noticed a taxi or a bakkie on the road that had flat tyres. You probably drove behind one for a fair distance. In most cases the tyres are flat because the load was too heavy and the driver didn’t bother to pump the tyres with air. Yet, they continued to drive. Did you notice that the taxi couldn’t really move much faster? You had to pass it by because the taxi was driving way below the speed limit. The flat tyres instantly decreased the vehicle’s driving efficiency. More acceleration is required to move the vehicle forward and to maintain the forward momentum. If the vehicle has to work harder to gain and maintain a certain speed then you would require more fuel. As a result the vehicle is going much slower but burning more fuel than it should. This acceleration puts a lot of strain on the engine and may cause it to wear out a number of parts. To avoid burning so much fuel and to prevent the vehicle from working extra hard, it is advisable to check the tyre pressure regularly and to pump the tyres whenever necessary. When the tyres are optimally filled with air, it takes less acceleration to move the vehicle forward. The optimally air filled tyres are able to maintain higher speeds much easier thus optimising fuel efficiency. Consequently, tyre pressure is a big deal. It is important if you want to be safe, have a pleasant driving experience and to save fuel. As your life changes your wants and needs change with it. You get married, you have children, you move, you change jobs, and so forth. For each part of the journey you need a car that can carry the load and with each step your car and your wheels will change. One of the main reasons why people choose a bigger car like a people carrier, a minivan or an SUV is because their family is growing. 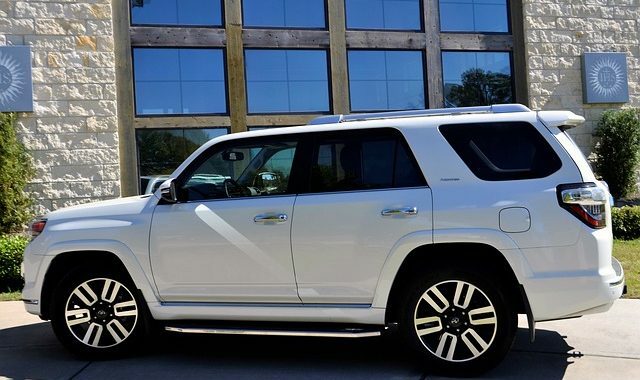 An SUV is a great choice if you are having your first or second child because you will need the extra boot space and the additional interior space for the three or four of you. With the plethora of options available these days you can choose an SUV that you love and is functional for your family’s needs. Daily or weekend drives will take a bit longer to prepare for. You have to buckle up the two children, pack the stroller and their additional nappy bags. With four of you and the extra baggage in the SUV, you should check the tyre pressure to make sure that it can handle the load. If the tyre pressure is low you will burn more fuel than you would have if the tyres were pumped to the optimal bar. What if you find out that you’re having yet another child, and now you have three children. An SUV might just about cut it but you’re going to need more space so a people carrier or a minivan might be your next choice. These vehicles can generally take a much bigger load. About five to seven people can travel in these vehicles depending on the model. There is also more boot space for all the bags and strollers. These vehicles also make road trips much more comfortable. Everyone is not sitting too tightly against each other and the luggage is tucked away in the spacious boot. Remember that if the people carrier or minivan is loaded with your family and all of your luggage, you will need to check the tyres . Are the tyres looking a bit flat when you load the vehicle? Do you have the right wheels that can support the weight of the vehicle? These are important questions to ask because your family’s safety is important. The right wheels with tyres pumped to the correct tyre pressure will give you a smooth and comfortable driving experience. 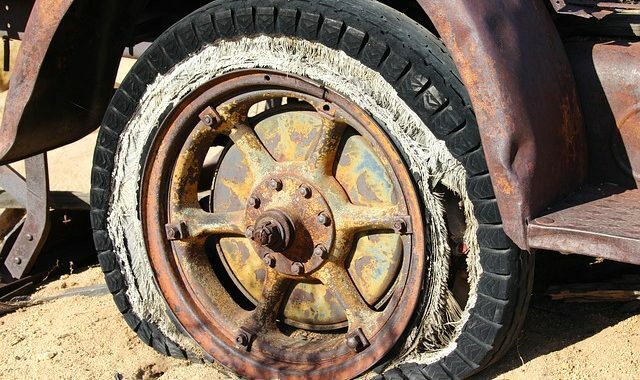 When Should You Change Your Car’s Wheels? Your car takes you to work then it takes you home and to various social activities. It is a part of your family and an extension of you so it’s not surprising that you want to take care of it. And you should take care of it, even the wheels. Sometimes it takes something dramatic to cause you to have to change your wheels like an accident or big obstacle in the road. If you were involved in a minor accident where the car’s wheels buckled and are bent then you cannot drive with those wheels. You have to replace those mags and the tyres altogether. The same goes for the case where you drove over a hard obstacle on the road. This could cause one or more of your mag wheels to bend and the tyre to burst. So you would have to change those wheels. When damage occurs to one or two wheels then you need to replace it. In that case you will need to decide on what you want to do in terms of the style of mags. If one or two of the mags are damaged you will need to find the same type of mags. But what if you can’t find the same style? In that case you might have to change all four mags so that they all look the same. Time is the other factor that will cause you to change the wheels, or more specifically the tyres. When the tyres are old and worn, they have to be changed otherwise it will not have any grip on the road and delay the stopping motion. When you notice that the tread is low then you should change the tyres. A smooth tyre is not only dangerous but it is illegal as well. If there is a puncture in the tyre, you could opt to repair it if it is not in a position that will compromise your safety. A tyre specialist will be able to assist you with this. If the puncture cannot be repaired then you will need to replace it. In such a case you need to replace two tyres at a time. When you replace the left rear one you should replace the right rear one for balance. The same would apply with the front two tyres. The two rear tyres run down faster especially with a rear wheel drive vehicle. In such a case you may not necessarily need to change all the tyres at the same time, you may only need to change the rear ones. It is important to note the status of your car’s tyres at any given time so that you are always driving safely. Do Exhaust Cut-Outs Increase Horsepower? There are a lot of components involved in building a car and getting the best performance from it. If you want to improve the way your car operates, you need to take time to understand its components, and how changes you make affect them, from top to tyre. When you turn the key, your engine requires combustion. This is created when fuel and air mix in the changer, allowing combustion. Your car requires a lot of air flow to function at high performance. The faster fumes are pushed from your engine caused by the previous combustion therefore the following round of combustion will be quicker and better. 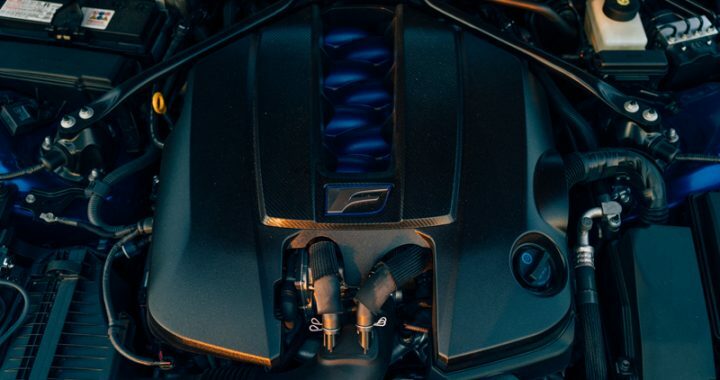 What Prevents Combustion Residue from Leaving the Engine? If you have a problem with combustion residue failing to escape the engine fast enough, the problem could be contributed to the exhaust not being able to clear out fast enough. Unfortunately, it is illegal not to have an exhaust pipe on your car, even if it is dampening performance. Will an Exhaust Cut-Out Improve Your Car’s Horsepower? There are many people who swear by exhaust cut-outs. They insist that the cut-outs will increase the horsepower and get the tyre to roll smoother than before. However, exhaust cut-outs are not guaranteed to increase the horsepower at all, some people suffer through the experience of having their horsepower reduced, sometimes dramatically. There are a lot of mixed experiences when it comes to exhaust cut-outs. Some people experience increased horsepower and torque, while others see a slight, to a dramatic drop in their stats. One of the primary reasons for this is that do-it-yourself mechanics don’t consult a reputable mechanic to see if their exhaust was the reason behind their reduced or hindered horsepower. They also failed to take into account how large the exhaust cut-outs should be and either made them too large, or too small. Just like anything else you do to your vehicle, the process must be precise and calculated. You must know that it will work mathematically before you attempt it physically. Exhaust cut-outs rarely work on stock exhaust. For them to work in a way that successfully increases the horsepower, the exhaust must be restrictive in nature. Some people expect to experience a change in the sound of their vehicle. The car may sound louder, but you will not achieve an exact sound by adding exhaust cut-outs to the pipes. By installing an aftermarket exhaust to your car, and then adding exhaust cut-outs, you may see an increase in horsepower and torque, but most factory and stock exhausts fail to provide this luxury. Make sure that you have tyres that can accommodate the additional thrust. With so many vehicles travelling on the roads these days, as a driver you have to be extra careful. You may not make any mistakes and you may follow all the road rules but you still need to be careful because you never know what the other road users might do. Here are a few tips on staying safe on the road. Check your mirrors. Your car is equipped with a rear view mirror and side mirrors. Whenever you make any move, whether it is turning left or right, or changing lanes, be sure to check your mirrors. The other drivers might not see you and that could lead to an altercation. Be aware of other drivers. You may be doing everything right but it just takes one person to do something unexpected. The other driver could be distracted by a passenger, a child, the radio, a cell phone or any number of things. This could affect that person’s concentration and they could jump a red light or turn unexpectedly. At that moment you could be in their way and a collision could occur. If you are aware of the action of other drivers you could predict their next move and avoid an accident. Use your indicators. Whenever you turn or change lanes, use the left or right indicator timeously to show other drivers what your intention is. This could potentially avoid a collision. Brake timeously. When you see the red light or stop sign, give yourself ample distance to stop. Don’t wait until you are a few meters from the stop sign before you start to apply the brakes. This sudden stop action could confuse drivers behind you and they could bump into your car’s rear end. Be aware at an intersection. Check what all the drivers are doing at an intersection. Is one driver hasty? Is another driver not going to stop at the intersection as they should? Many drivers take chances at intersections when they are in a hurry or are late for a meeting. These are the ones you need to be weary of. Check your tyres. You need to ensure that your wheels and tyres are in good condition. You could be fined if your tyre tread is very low and the tyres are smooth, as this could be dangerous for you and other drivers. Whatever you do, be safe on the roads. It could save you a lot of trouble. We’ve all seen those movies where they use nitrogen in the engine for speed. While that is great fun to watch, it’s not the only thing it is used for. Nitrogen can be used to inflate tyres which can give you a different driving experience on the road. Here are a few reasons why it is beneficial to inflate your tyres with nitrogen. It increases fuel economy. With the tyres optimally inflated and less air leaving the tyres it enables the ideal pressure to be possible. This creates the optimal driving conditions which causes the engine to work a little less when accelerating, therefore fuel is saved. With the constant increase in costs, it would be great to save fuel. It increases the life of the tyre. The nitrogen does not have the same eroding effect as air does, or more specifically carbon dioxide. Consequently, you probably won’t need to change the wheels as often as you would have had to if you used air inflation. It stabilises the tyre pressure. As mentioned before the nitrogen maintains the pressure which is suitable for the ideal driving experience. When the pressure is at an optimal range the shock absorbers are able to perform more efficiently. This will give you a smoother drive. It gives you better grip on the roads. 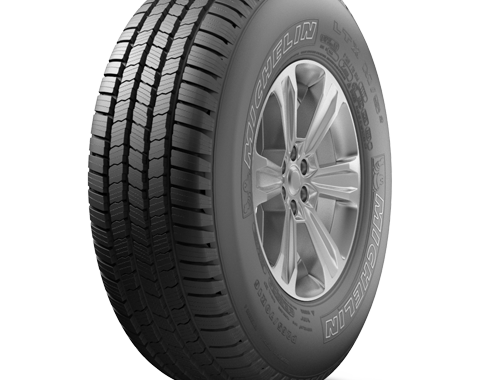 The nitrogen inflated tyres gives you a better grip on the road because it creates a firmer and fuller shape to the tyre which remains constant for a longer time frame than with standard air inflation. You will have better peace of mind when taking corners especially those tight sharp corners. It is safer in all weather conditions. It is suitable for both cold and warm weather conditions and performs consistently throughout wet and dry conditions. No matter what the weather is like, at least you are assured that the tyres will perform well while you are driving. Nitrogen inflation is the ideal way to enhance your tyres because it can save fuel (which saves you money), increase the life of the tyre (which is also cost saving), give you better grip on the road and keep you safe in all weather conditions. If you are going to opt for nitrogen inflation, be sure to do it at an accredited workshop who knows what they are doing. All the air will have to be removed before the nitrogen is to be inflated. If you are unsure about anything, always discuss your concerns with a professional that will be able to give you the best advice. Contact us on Tel: 011 661 4338 / 011 661 4339 or Email: amalgam@mintys.com. If you have a job you probably have to drive the city roads every day. This daily driving adds to the wear of your car parts so it is important to take care of your car whilst you are driving and when service intervals are due. Have you ever taken note of how much your car has to work when you drive to and from work? In the morning when it is cold and you start your car, the engine has to warm up and adjust to the cold temperature. You use the clutch, the gears, the acceleration pedal and the brakes simply to pull out of the driveway. Once on the road, you utilise all of these car parts and during the drive you encounter stops, low and high speeds, left and right turns, and sometimes, obstacles. Unless you’re driving in the perfect environment, you would most likely find debris on the roads from prior accidents, perhaps vandals scattered some objects on the roads, a truck may have lost some of its load, or there are potholes. You would have to take evasive manoeveurs to avoid these obstacles whilst also avoiding other road users or possible pedestrians. This can take a strain on the steering wheel, gears, brakes, wheels and tyres. If you hit any of these obstacles it could damage your tyres and the rims of the wheels quite badly. A sharp object could cut the tyre or a pothole could rupture the tyre completely. Because you drive your car every day, it is important that you don’t miss any services to ensure that your car is able to function at 100% on the road. If you do encounter any wheel and tyre damage, be safe and opt for the car to be towed if you don’t have a spare wheel. 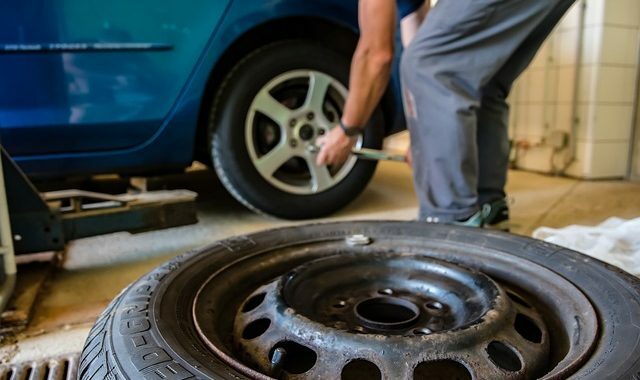 Alternatively, if you are able to, change the wheel so that you can drive to a tyre repair workshop as soon as possible. Then have the wheel and tyre replaced. Once the wheel is replaced, check the alignment and balancing so that you are certain the car will drive perfectly straight and not veer left or right. City driving can take quite a toll on your car, especially on the wheels and tyres, so ensure that you check the tyre pressure regularly too. If you notice any punctures repair it immediately. Take care while you’re on the roads to ensure your safety. 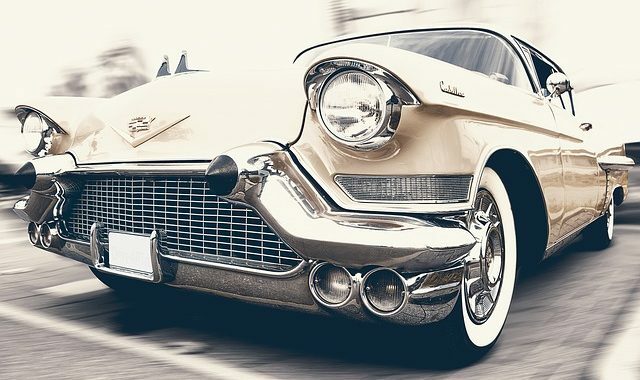 When you drive around town or travel long distances you probably check that your car is in good working order. Driving around town requires a lot of stop and go action while travelling long distances tends to be a continuous driving action. Either way there is an impact on the tyres. It is important to know when to change the tyres on your car so that they take you to your destination safely. Here are a few tips as to when to change the tyres. The tread is smooth. When the tyre tread is smooth, in other words it is less than 2 millimetres deep. If the tread depth is less than 2 millimetres it affects the braking action of the car. The smooth tyres will not have sufficient grip on the road when you want to come to a complete stop, it will affect grip when going around a corner, and it will certainly affect driving in wet and rainy conditions. In each of these cases a smooth tyre could cause an accident. So make sure that you change the tyre when the tread is less than 2 millimetres. It is damaged or worn. If there is wear anywhere on the tyre such as frayed edges because they are old then you need to change it. 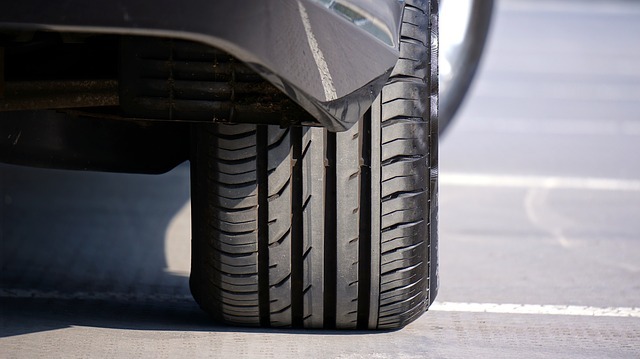 Driving with worn tyres can be dangerous because you never know when it might burst. Another occasion when you might need to change it is after hitting a big pothole. Potholes can cause great damage to the wheel so you need to inspect it thoroughly before you attempt to drive with it. A big pothole could not only damage the tyre, it could also damage the mag wheel and the suspension. There is a puncture. If the tyre has a hole in it then this is a definite indication that it needs to be changed. Don’t attempt to drive with the puncture. This will make the wheel flat and it could cause the car to be imbalanced. This imbalance is dangerous as it can cause you to make an accident because the handling of the car is drastically affected. When you notice that there is any wear, damage or punctures on the tyres, then get the tyre changed. You could do it yourself by replacing it with the spare wheel. But it would be better if you could take it to a specialist who will remove the damaged tyre from the mag wheel and replace it with a new one. You could still keep the mag wheel as it needs to match the other mag wheels on your car.